Why isn't the popcorn free? 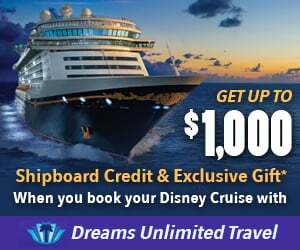 Discussion in 'Disney Cruise Line Forum' started by squirk, Feb 3, 2019. Obviously, popcorn is dirt-cheap. Probably just as cheap, if not cheaper, than the free ice cream at Eye Scream. I have always just assumed that the popcorn wasn't free because if it were, people would be grabbing tons of it, spilling it all over the ship, and constantly making a huge mess. By charging for it, DCL is limiting how much makes it into the hands of guests to make said mess. But that has just been my assumption. I figured there might be people here who know if that is accurate, or if there another overriding reason the popcorn isn't free. Am I on-point with my guess? MNtwinsplus1mom, MilitaryDisneyCruiser and darnheather like this. I’m not sure why it isn’t free but I do know that if you buy the plastic bucket instead of the paper cup of popcorn, you can get refills for $1.50. The plastic bucket was $7.50, the paper cup is the same size and $3.50. Not exactly what you were asking but thought I’d share for others that were unaware. Starwind and diznymom like this. The mess factor is the general assumption I have seen. Sandbtwmytoes, marcyleecorgan, cvaska and 3 others like this. I've wondered about it too. I would think it's about kids and mess factor though I don't know. This is our third cruise and because it is for so long (2 weeks) I am for the first time going to get a plastic bucket and let the kids get popcorn when they want to. I never get the popcorn on our cruises. It always smells like it's burnt, so I wouldn't get it even if it was free. It isn't free because they can get away with charging. disneylove69, dad of 3 addicted to DCL, galaxygirl76 and 17 others like this. They could get away with charging for soda and ice cream, too, if they really wanted. Why is popcorn different? disney789, anricat, jiminyC_fan and 3 others like this. Having been to an elementary school movie night the other night, it is absolutely the mess. I will believe nothing but that. twinsmom&dad, galaxygirl76, MNtwinsplus1mom and 8 others like this. Maybe because the popcorn involves more manpower (more $?) --it's a 'hot' item, requires more work to make it. Ice cream and soda are self serve items. Ice cream machine just involves adding the mix to the machine/cleaning it out daily. But, yeah, I can totally get that it may just be the 'mess' factor! marcyleecorgan and tink1970 like this. I think they charge because they can (just as they charge for canned drinks from the bars/room service and ice cream at Vanellopes) and it's the manpower and the mess factor. I get your point, but I can’t imagine popcorn would require that much more manpower than monitoring Eye Scream. Seems like there is always at least one CM around ES tending to the machines, replacing cones and napkins, cleaning up spills, etc. Vanellope’s is a totally different bag than Eye Scream. If they opened a “gourmet popcornery” (or whatever) on the ship, that would be another story. But I’m talking the bare-basic popcorn they serve at Preludes - corn kernels, oil, “butter” and salt. DCL is going to charge wherever and whenever they can. Do you remember when they tried to take away the cheese plate from room service? People freaked out over a plate with cheap cheese on it. The ice cream (ice milk) and soda are expected and charging extra for those would cause riots. Apparently the popcorn has not caused significant backlash. Princess hands out popcorn at Movies Under the Stars. It is something that Princess customers have come to expect and charging extra for it likely would cause significant opposition. marcyleecorgan and darnheather like this. People expect Eye Scream to be free because that is how DCL has offered it for years. DCL could have charged for Eye Scream, or conversely, not charged for popcorn, from the get-go. So the question remains - why do they treat popcorn differently? Why did they choose to set the precedent that cheap soft-serve is free but equally-cheap popcorn is not? Using a fee to reduce demand for popcorn, and thus curbing the “mess” factor, makes the most sense. If ice cream spills, it’s pretty localized. Spilled popcorn is going to get blown and kicked all over the place. Popcorn is an unlimited demand item that requires manpower for each serving, unlike soda and ice cream. If it was free, they could not keep up with the demand. And people would treat it as such, dropping it everywhere. Every movie theatre in the world is proof that popcorn creates a mess. Hillbeans, jenmiller114, marcyleecorgan and 2 others like this. I think they charge to encourage you to buy the popcorn buckets. People might be less inclined to buy the bucket if they could get just a cup of popcorn for free. mevelandry, MsOnceUponATime, marcyleecorgan and 1 other person like this. Agreed 100% If it were free, then EVERYONE would want it for every theater show every night. They'd need to find space to install multiple industrial movie theater popcorn machines to deal with the demand of 1000 people asking for popcorn in a 20 minute span twice a night. (And it would be very manpower intensive to clean up between the two shows.) By offering it for sale you can still have it if you REALLY want it, and it stays manageable. Happy100, monorailrabbit, jenmiller114 and 8 others like this. Sure. Everything, even the “free” stuff, is built into the fare. So DCL could have added, say, 25¢ to every fare to cover the cost of popcorn (including labor), and even make a profit on it as well, and no one would notice or care. The popcorn would be “free” just like the ice cream at Eye Scream is “free”. Yet they chose to make it an overt upcharge. Maybe @DCLPrincess is onto something - minimizing mess AND trying to replicate the success of the buckets at the parks. Because there aren’t ducks all over the ship like they are at the parks to pick up the popcorn spills? PrincessArlena'sDad, Mitura, monorailrabbit and 8 others like this. But at MUTS you are outside. Popcorn is not getting stuffed between seat cushions and ground into the carpet outside.